Stretching, massage, using a foam roller, relaxing will all aid recover. Many runners will experience injury at some point in their running career. Hopefully for most these will be minor and will not affect them greatly. For others, these could threaten to prevent them from enjoying their sport temporarily or, in the worst cases, permanently. 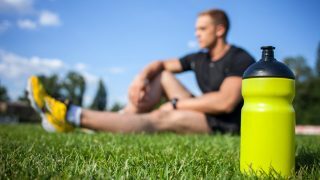 The purpose of this article is to provide you with basic information and advice that is easy to implement which can help you to avoid many running injuries. Prevention is definitely better than cure when it comes to running injuries! Like all sports injuries, running injuries fall into one of two categories - extrinsic or intrinsic. Extrinsic injuries come from an external cause. They tend to be traumatic with a sudden onset, caused, for example, by a fall or a tackle in a contact sport. Normally these injuries are acute and it will often be difficult to exercise through the pain. Intrinsic injuries usually have an internal cause such as overuse or poor biomechanics. These injuries tend to have a gradual onset which can often become chronic. Often it is possible to continue to run through the pain during the early stages of the injury. Due to the repetitive nature of running, most running injuries fall into the latter category of intrinsic injuries. Running places repetitive stress on the body’s musculoskeletal system with each step. If your body is not strong enough, or if you follow bad training practice, this can result in overuse injuries, particularly affecting the lower limbs. 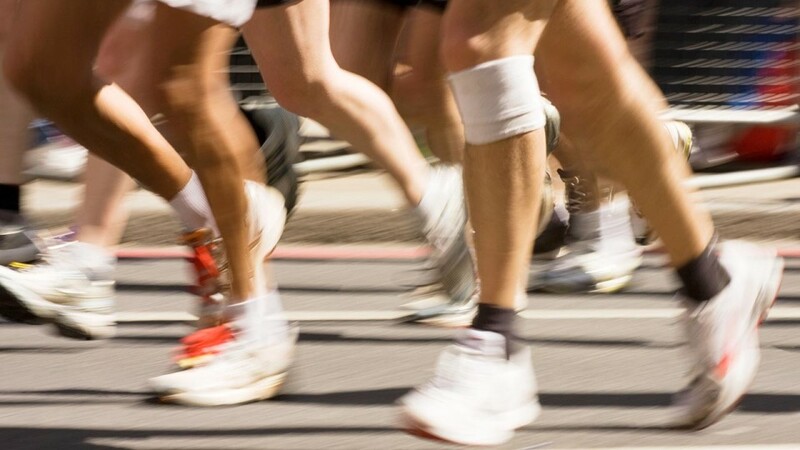 Whilst sometimes you may need to employ the service of a health professional to recover from running injuries, most injuries can be avoided with the application of some fundamental training principles. Running places stress on the various soft tissues of the body. These tissues include muscle, bone, ligaments, cartilage, fascia and the capsules that surround joints. Get the balance right and these stresses stimulate the tissue to become stronger. Get the balance wrong by over training and it leads to break down of the tissues which can result in injury. Tip: Follow the 10 percent rule. Do not increase your overall workload by more than 10% per week. There are different ways that you can increase your workload. These include duration and intensity. So for example if you keep the intensity the same you may increase your distance the following week by 10%. You may decide to keep the distance the same but increase the intensity by increasing your speed or adding in some hill runs. Training consistently can be a challenge especially with busy life styles. No matter how dedicated most runners are, they will miss a run from time to time. This is fine as long as you don’t make a habit of it. In my experience the newbie runner often has an all or nothing attitude. If they do miss one or two training sessions they can become demotivated and think “what’s the point”. As a result they skip their next session. The following week they feel guilty and return to training. Sometimes they will double their efforts in an attempt to make up for lost training time. This stop/start approach to training places extra stress on the body thus increasing the risk of injury. It also minimises improvements in fitness progression and can cause demotivation. Also read: I'm Overweight. Is Running Suitable for Me? Tip 1: Do a quick session if you are really short of time. If you are really short of time it’s still worth getting out for a 15-20 min jog. Especially for the newbie runner you can still improve your fitness level with short runs. More importantly, it will make you feel better and help keep the momentum of training. Missing one training session can lead to a higher risk of you missing another. Tip 2: If you fall off the wagon get back on sooner rather than later. If you do miss one or two sessions, don’t allow this to be an excuse to miss another. Use it as the reason to train rather than not to train. Tip 3: Don’t play catch up. If you do have a bad training week, don’t try to make up for it by doubling your training the next week. Our bodies are designed to run but they are also designed to perform lots of other movements and activities. 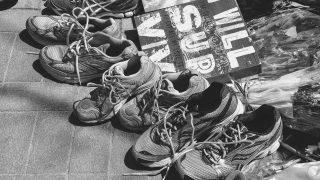 Running is great but it does have its limits; it’s true what they say: “use it or lose it”. If we don’t mobilise our joints fully we may lose the ability to move them through their full range of motion. This also applies to other fitness attributes such as strength, power, balance, endurance, proprioception and agility. Cross training helps to balance these various fitness attributes and therefore decreases the risk of injury. It also helps to keep training fresh, varied and interesting. Tip 1: Perform types of exercise that you enjoy. I think this one speaks for its self. If you enjoy it you are more likely to do it. Tip 2: Include some kind of upper body activity. 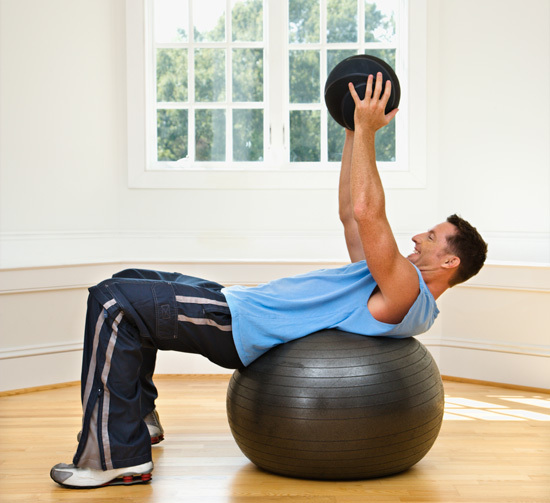 This can include strength training, going on a cross trainer, rowing or a medicine ball work out. Basically anything that makes you engage your upper body during exercise. Such exercise will also increase bone density in your upper body. This is particularly important for ladies, as it dramatically lowers the risk of developing osteoporosis. Tip 3: Include aerobic activities. Examples are rowing, using a cross trainer that has arm levers on it, boxing, aerobics and dancing. These help to improve your aerobic capacity which is vital for running. It is good to perform activities like rowing or using the cross trainer as you work your upper body and lower body at the same time. Both are low impact and add variation in movement patterns. Stretching is a very important part of your training. It teaches you about your body, can help aid recovery and lowers the risk of injury. You should think of stretching as being part of your fitness regime and not just something that you do quickly before and after exercise. Tight muscles can affect the biomechanics of your body. For example, tight hip flexors (the muscles at the front of the hips) can pull the pelvis forward leading to excessive arching of the back and lower back pain. Tight hip flexors can also shorten your stride length thus affecting running performance. Also read: Running Through Sickness? You'd Better Listen To Us First! Often people don’t realize that stiff muscles can contribute to joint pain as well as muscle pain. Muscles not only contract to produce joint movement; they also act as shock absorbers during impact, for example when you land on your lead foot during running the leg muscles absorb the impact. If your muscles become stiff, they lose their ability to absorb impact as efficiently which means more forces are transmitted to the bones and joints. Imagine a car with wooden wheels and no tyres. It would make for a very bumpy ride and wouldn’t take very long for the car to start to fall apart. Tip 1: Apply stretches progressively. This term describes a process whereby the muscle is progressively made longer over a period of 20 to 30 seconds. Place a muscle in a position where you feel a stretch but not pain. After a few seconds you should feel your muscle ease slightly. When it does, gently increase the stretch and hold the muscle in its new position. Repeat this process over the duration of the stretch. Remember the aim of a stretch is to bring about a change in the muscle i.e. increase flexibility and increase elasticity. If you force the stretch or apply it too quickly you will not have the desired effect on the muscle. Tip 2: Stretch all your major muscle groups. The above are basic stretches and are the bare minimum that a runner should perform. 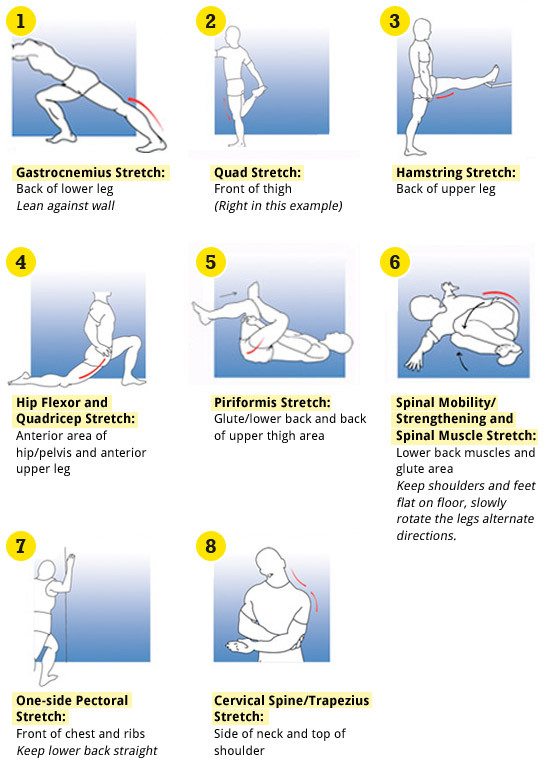 If you have an injury or propensity to suffer a certain injury there may be other stretches that are important for you to perform. Tip 3: Use stretching to balance your muscles. Pay attention to how your muscles feel when you stretch them. You may notice that one side feels tighter than the other or your muscles feel tighter than they did the last time you stretched them. If this is the case it is advisable that you spend a little extra time stretching your tight muscles. For example if the back of your left thigh is tighter than the right, apply an extra stretch to that area. There are various schools of thought on what constitutes a good running style. 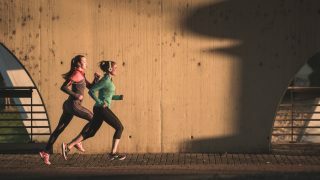 My job is not to tell you how to run, but here are a couple of tips relating to running technique that can help prevent injury. 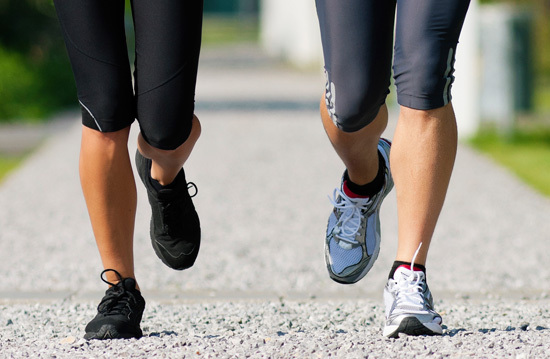 Tip 1: Listen to your feet when you run. Your feet should not make a lot of sound when contacting the ground. If your feet make a loud sound when contacting the ground it means your bones and joints are absorbing the shock not your muscles. 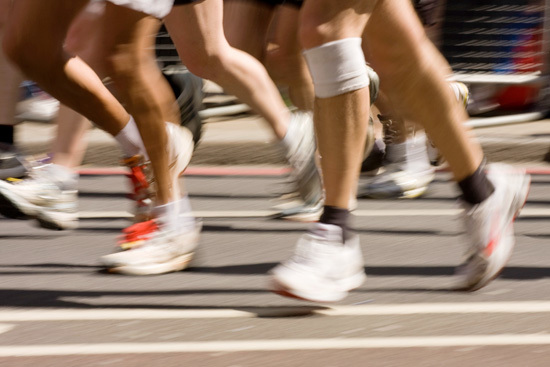 This puts you at a greater risk of overuse injury and means your running is less efficient. Your muscles should absorb the impact; this energy is then stored and then used to propel you during the push off stage of your running gait. In other words your muscles act like springs absorbing energy and reusing it. 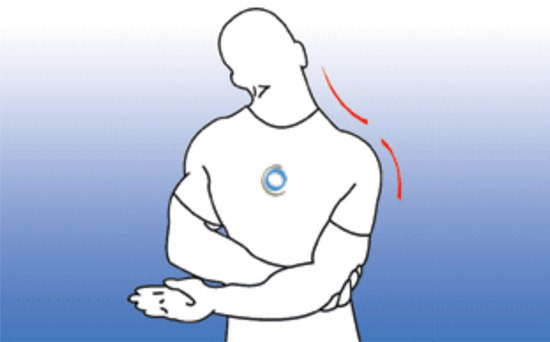 Tip 2: Keep your shoulders relaxed. Tense neck and shoulders when running are a common cause of neck and shoulder pain particularly in new runners. The first step to solving this problem is to be aware that you are tensing your shoulder muscles. Next time you run be aware of your shoulder position. If they are raised up toward your ears just allow them to relax and fall away from your ears. Be careful not to pull them down as this may increase tension in a different set of muscles. If your shoulders are tense try shaking them out. If you do experience shoulder pain during running; stop running and stretch. Tip 3: Move your arms not your torso when running. You have poor activation of your oblique muscles (muscles at the sides of your waist). To remedy this problem you need to perform specific activation exercise of the obliques. It is worth noting that poor activation of the obliques is not necessarily a question of poor strength but rather one of control. You are not moving your shoulders correctly. Your arms should move in a forward to back movement. Often runners keep their shoulder joints stiff or they move their arms from side to side. Both will result in body rotation during running. This can put stress on the lower back as well as compromising your lower body mechanics. It can also impact on your performance as you are expending energy in side movements rather than in forward motion. Rest is an important part of your training. This allows you to recover from training and is when most adaptation actually occurs to bring about improvements in fitness. Don’t get too excited you still need to work-out in the first place to earn your rest. If you are unfortunate enough to suffer a running injury, you may find that rest, stretching and a gradual return to training along with adhering to the above principles may be sufficient to successfully manage your condition. If your injury persists, you may find it helpful to seek the advice of a health professional, such as an osteopath, who is experienced in treating and managing such injuries. Good luck with your training and remember prevention is better than cure! Barry is an Irish Osteopath treating a wide range of patients in Singapore. He is particularly experienced in treating sports people, including runners, and enjoys applying his background in Sports Therapy and Sports Science to provide tailored treatments which recognise patients' training goals. Osteopathy is a hands-on holistic therapy that uses a range of techniques to access and treat many different injuries, including sports injuries. Barry is Vice Captain of the Gaelic Dragons dragon-boating team in Singapore. He cross-trains by running and cycling, and enjoys participating in different challenges, including the New York Marathon, a London-Paris cycle and aTri-Factor sprint triathlon.